It's annoying for Clarets fans that just when Burnley establish some momentum with back-to-back victories, along comes a prolonged period of enforced inactivity, due firstly to Chelsea’s involvement in the FA Cup and then a weekend devoted to friendly internationals? Such fixtures are sold to fans on the basis that they represent crucial preparatory work ahead of the World Cup, and this is no doubt true, but the matches themselves bear the look and feel of soulless academic exercises. 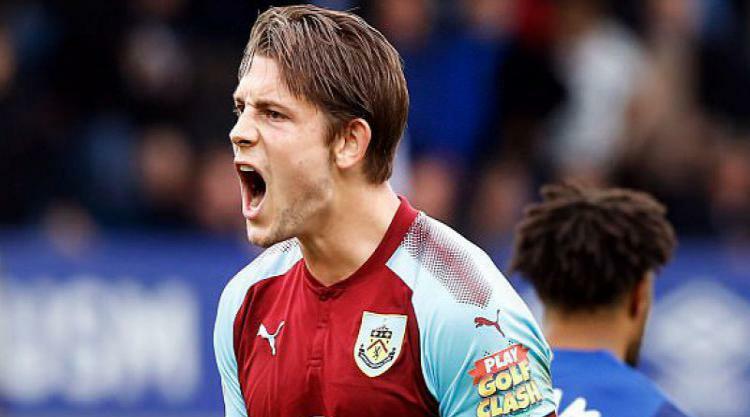 At least Burnley fans could draw comfort from the fact that Gareth Southgate selected two Clarets in his England squad; but were then dismayed when neither Nick Pope nor James Tarkowski featured in the first of the two matches, the Friday night victory over the Netherlands. It felt more than a little galling to find that Kyle Walker, a full-back, was selected to play in the centre of the defence and that Eric Dier, a midfielder, was shoved on to play there for the last couple of minutes. Would it have killed Southgate to give Tarkowski those few minutes? Jordan Pickford was selected to play in goal for the Dutch game, and handled himself reasonably well. It would seem that Jack Butland is pencilled in to play against Italy at Wembley on Tuesday. All of which would indicate that Pope’s selection was nothing more than an opportunity to have a look at him and give him the experience of being involved in the squad. That is understandable and probably reasonable, were it not for the fact that Pope has consistently and measurably out-performed both Pickford and Butland throughout the season. It would seem that Pickford’s apparent comfort with the ball at his feet is a factor weighing heavily, and it seems decisively, in his favour and it is undoubtedly true that some of the messing around in their own penalty area that England indulged in would have been an anathema to Pope and all of the lessons that Sean Dyche had drilled into him. But I am old-fashioned in my belief that England’s goalkeeper should seek to emulate Gordon Banks and Peter Shilton rather than Bobby Moore. For all his good work, Pickford was hesitant under a couple of crosses on Friday night, a recurring frailty which had been exposed by Chris Wood and Ashley Barnes when he played for Everton at Turf Moor a few weeks ago. Pope, on the other hand, commands his penalty area and is an excellent shot-stopper. Surely these are greater attributes for a goalkeeper to possess than the ability to pick out a twenty yard pass? Nevertheless, there will be three goalkeepers in the England squad heading for Russia (so long as political events don’t conspire to prevent that from happening) and the conventional goalkeeping wisdom, supported by cold, hard statistics, insists that Pope should be one of them. Tarkowski’s selection is more dubious; he is up against the likes of McGuire of Leicester, Mawson of Swansea, Smalling of Manchester United and former Claret Michael Keane for the one single seat on the plane. Ben Mee should also be in the mix for his sheer consistency, but his selection for the national team is looking increasingly unlikely. Burnley are often seen as too unfashionable for their players to be regarded as England selections. A few caps here and there have been pushed in the direction of some of the club’s better players down the years, but to become an England regular it seems that you will have to move to a club with a higher profile. Fortunately, not all countries are so elitist and several Clarets are now involved in international representation around the world. Indeed Sam Vokes trekked all the way to China with Wales and was returned home with two goals. Next week, business as usual returns for Burnley, as they round the bend into the final furlong of the season, looking to round off what has been an outstanding season with a strong and purposeful finish. A trip to the Hawthorns is next on the agenda, a graveyard in the recent past for Burnley teams, but West Brom now look to be heading for relegation without, it seems, the stomach for the fight to extract themselves. We shall see. This reflection on the international break pertaining to Burnley Football Club was written by uber Burnley fan and regular contributor to Clarets Mad, Dave Thornley (TEC).